It has been really rainy, like the third rainiest start to a year in Houston history! And while that is not a bad thing, our yard is beautiful, it does keep me from working on a few projects. As a result I decided to tackle those last couple of boxes left in the garage that needed unpacking and I ran across a few books. I do most of my reading on my iPad these days but I have a few books that I have yet to read. So with the discovery of a few of those books I decided it was time to revisit my goal to read them. 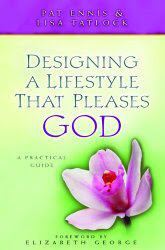 I chose to read Designing a Lifestyle That Pleases God by Pat Ennis and Lisa Tatlock. This book is written in a bible study format but I just read it through. Have you ever wondered as a woman if you were living your life in such a way that glorifies God? I know that even though I study the Bible, I sometimes want assurance that I am getting it, do you know what I mean? With chapters like, The Wise Woman's Lifestyle Reflects Her Heavenly Heritage; The Wise Woman Embraces Submission; and The Wise Woman Creates a Beautiful Home, this book is written for intelligent women who have a desire to live a Godly life. Each chapter is backed up with an abundance of scripture. And just to be honest it is affirming in some ways, but also convicting in other areas I found myself lacking. It required thought for each chapter, but written in such a way that kept me engaged. I would recommend Designing a Lifestyle That Please God to anyone that has an interest in affirming their calling to be a Godly woman. I would recommend it for a small group, my favorite groups are ones that have ladies of various ages and backgrounds. I think it would be both challenging and affirming. Now I am off to figure out my next read. My plan is one book a week! I have not been compensated in anyway for this review. Although I have enclosed an affiliate link for ordering on Amazon. Thanks Susan for sharing your book review here at Dance With Jesus Linkup! Susan, thank you so much for the invite. I just returned the RSVP and am looking forward to receiving my copy! Have an awesome weekend. Yea! I'll pull the list today and get into the mail shortly. THANK YOU, Susan. Sounds like a good study, one that will draw a woman closer to the heart of God. You have a nice blog, Susan. (& a nice outdoor shower...enjoyed the pics on the following post.) :-) Happy 4th. Kristi, thank you so much for the encouragement. Also thank you for visiting and I hope you will come back. It is so rewarding to live a life of calling. Thanks for adding this to the #funsummerfinds linkup! Shellie, thank you so much for the visit. This is my first time to link up with The Fab Journey, but won't be my last. Have a great day! 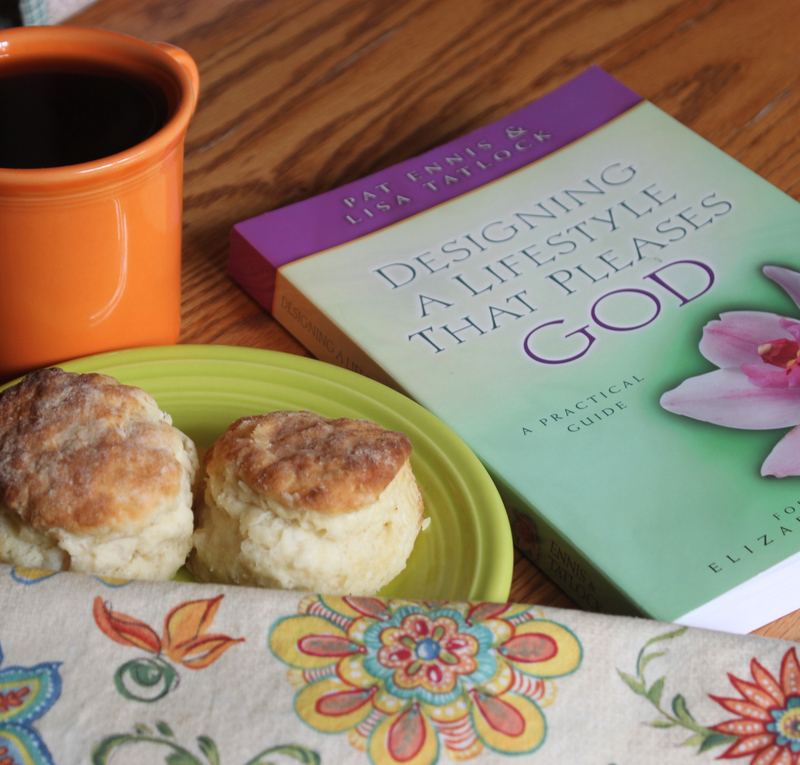 Thank you for sharing your thoughts about Designing a Lifestyle that Pleases God. I hadn't heard of that book before. I have been so convicted lately that I am just going through the motions and not enjoying God through obedience and the Word. Being intentional in my daily walk with Him. It sounds like this book would spur me on to do just that! Thank you Karen, I enjoyed the book and I would suggest it for anyone. I understand that feeling of going through the motions.